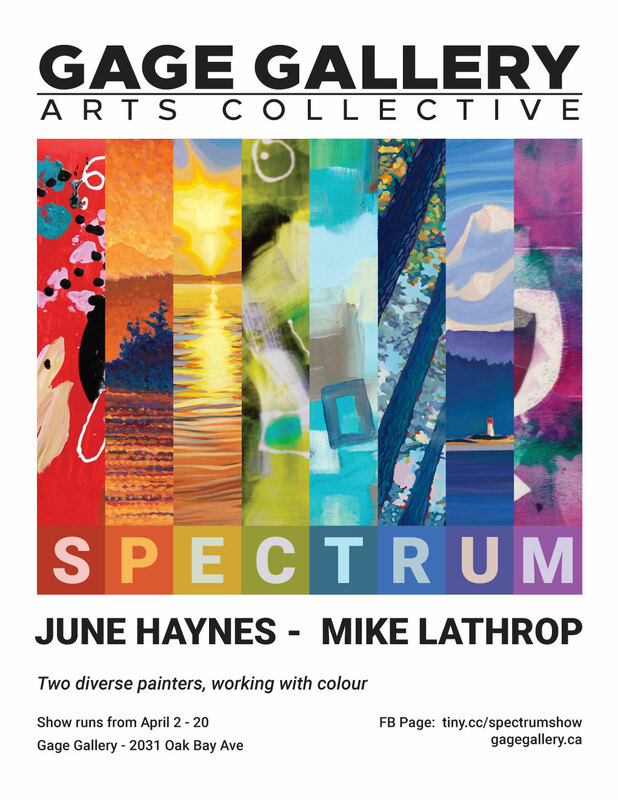 I am pleased to announce that I will be having a show with my fellow Gage Arts Collective Member and Cedar Hill Studio Painter, June Haynes. I mostly paint landscapes, and June mostly paints abstracts, but we’re both centrist on that spectrum, and we’re also similar in how we employ bright colour. 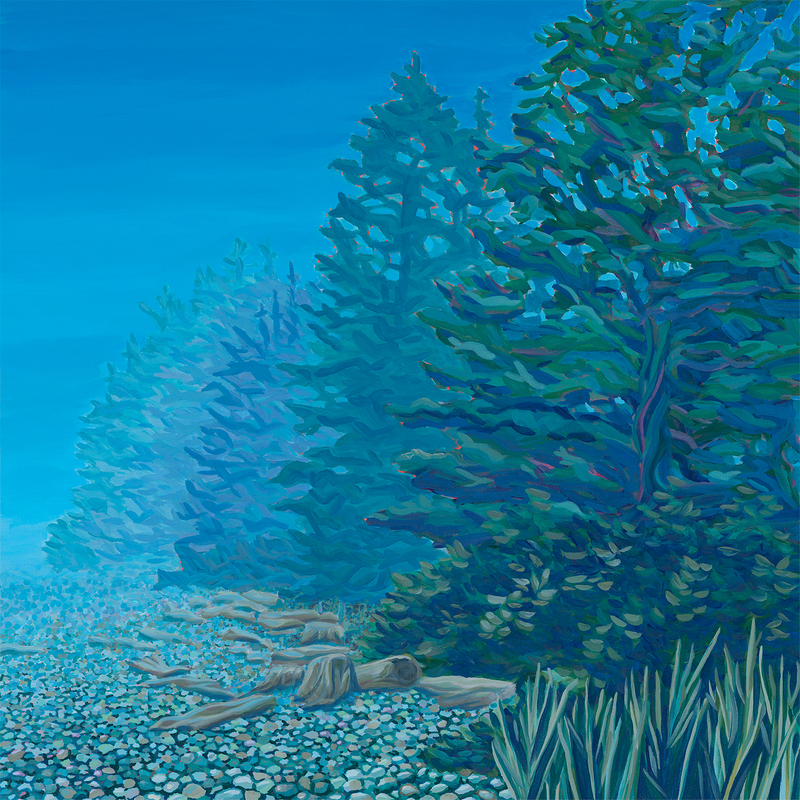 The show runs from April 2-20 at the Gage Gallery Arts Collective at 2031 Oak Bay Avenue. I’ll be at the gallery for much of the time it’s up, check my Events Calendar page to see when you might expect to see me there. I’m going to be doing a demonstration as part of the Opus Visiting Artist Series at Opus Art Supplies in Victoria on Saturday, March 16th. I’ll be doing 2 actually, one at noon, and a second starting at 2:30 pm. Admission is free, but you need to register to attend. You can do so in person at Opus or by calling 250‑386‑8133 or toll free 1‑800‑524‑6555. Currently it is full, but there is a waitlist. Opus is located at 512 Herald St. There are now 38 new greeting cards available in my shop. More than double what I had before! 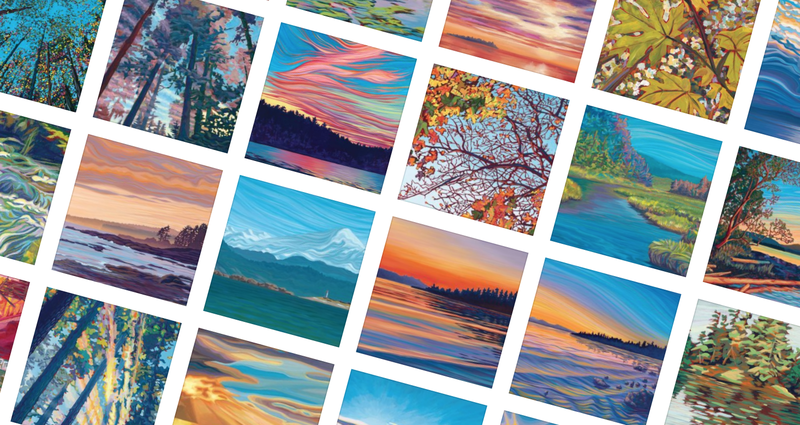 Click here to see the entire selection of greeting cards. The original 24×24″ painting is available here. Six of my prints are now on display at Comox Valley Nissan. Many thanks to Mark Hoskins for reaching out to me to set this up, and for holding the ladder when we hung the big one by the front reception. This is a great opportunity for me to have a place to show my work up-Island. If you are in the market for a car, I found Mark and everyone else there was great to deal with. 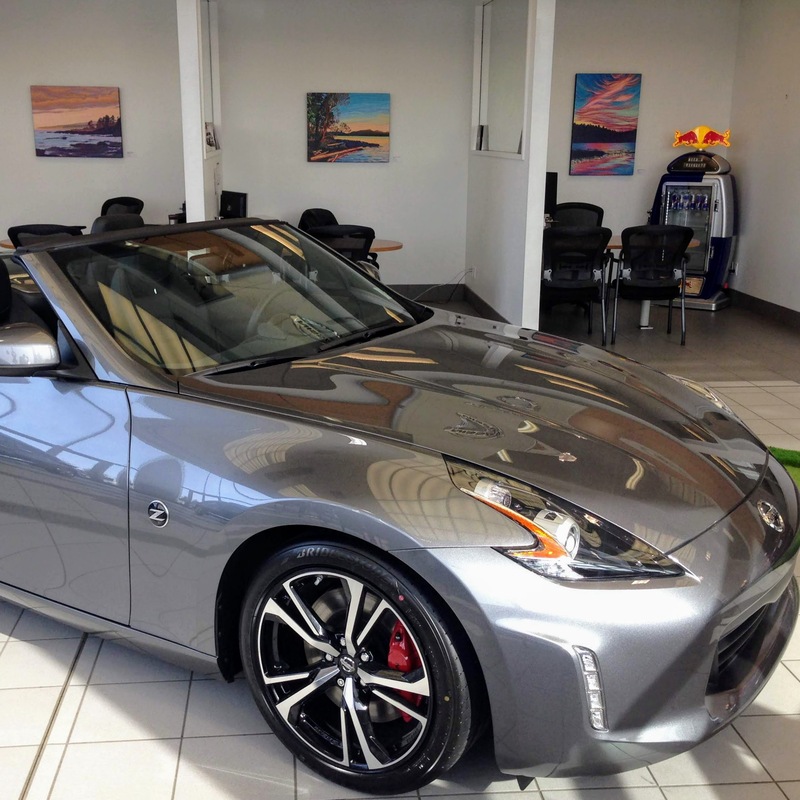 Also, if you are financing your vehicle purchase at Comox Valley Nissan, you have the option of buying my artwork and including the cost of it in your car payments.